Home to revelry and romance, New Orleans retains an unmistakable sense of itself, an honest, eccentric, deep-feeling city that embraces its ghosts and its newcomers alike. "It is the city’s status as a place that requires explaining, even to Americans, that is responsible for its foreign aura." A TRUE DEEP DIVE INTO MY FAVORITE CITY. MORE THAN GREAT RECOMMENDATIONS, STORIES THAT SPOKE TO THE SOUL OF THE PLACE. HIGHLY RECOMMEND. Spicer opened her award-winning Bayona in 1990 in a 200-year old cottage in the French Quarter. Nearly 30 years later, it remains an institution in the city. Wildsam interviewed Chef Spicer for the New Orleans field guide. 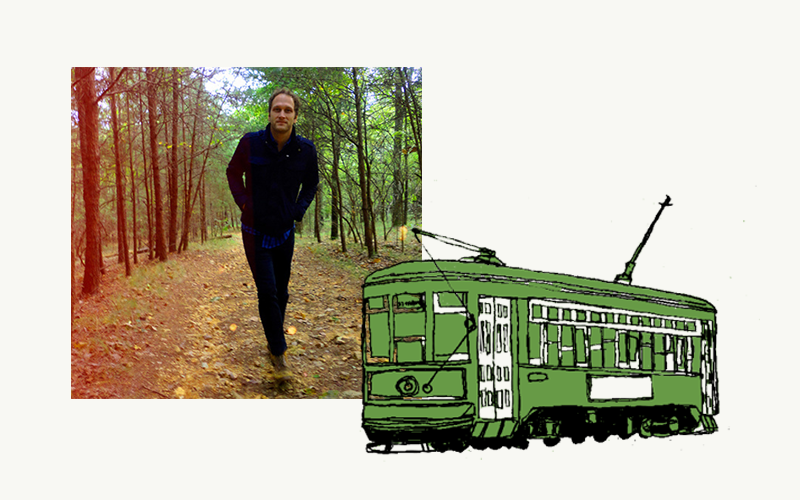 Scott Campbell is a graphic designer and artist based in New Orleans. His fantastical dreamscapes have graced album covers and posters for musicians Andrew Bird, Spoon and others. Clients include NPR, IDEO and Good Magazine.